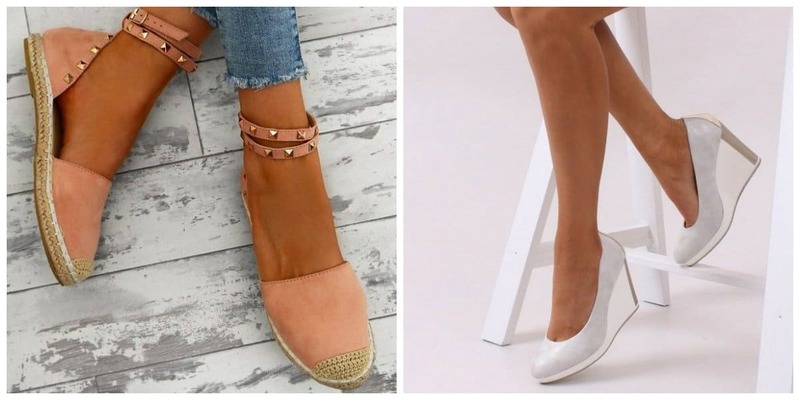 Let’s see what style womens summer shoes 2019 are in trend. Fashion trends are very changeable, and with every new season, we meet fashion news. Summer season 2019 is no exception. Ready to surprise us with the best ideas of summer shoes demonstrated by fashion designers. 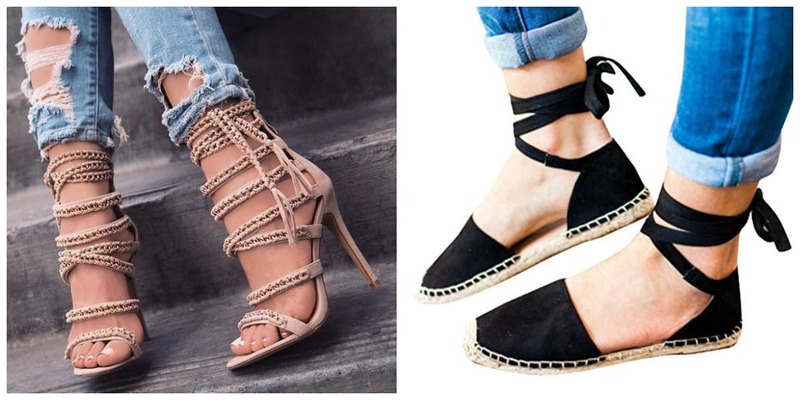 Summer is a period of ease and carelessness when we can safely experiment with different styles and fashion trends, and with fashionable womens summer shoes 2019 as well. Models of ladies sandals 2019 with bright and eccentric decor that attract attention will be in latest fashion trends 2019. Such variations of shoes for fashion 2019 summer will be in the center of worldwide styles, allowing you to pick up calm and neutral additions. Unusual models of shoes with very small heels were shown on Isabel Marant’s fashion shows, they are called kitten heels, which will be in fashion trends 2019. Shoes on platform and wedge remain in high esteem, which sometimes look rough or makes women’s bows heavier. Ladies are not ready to give up neither the sandals nor the platform shoes or wedges. Womens summer shoes 2019 with transparent inserts are at the peak of popularity. 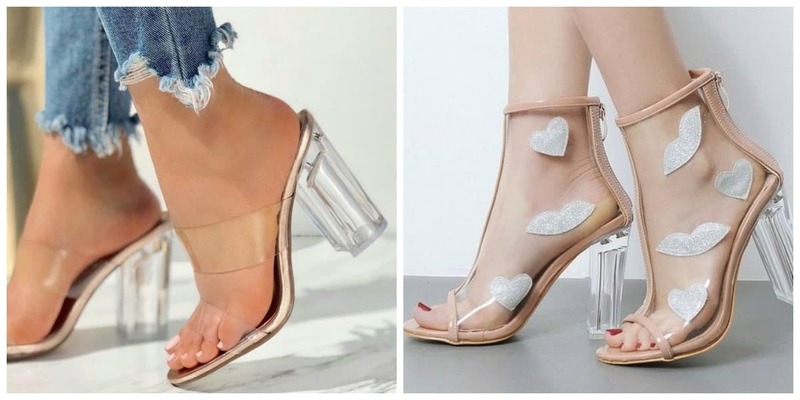 These can be ladies sandals 2019, shoes, boots with transparent plastic inserts or transparent steady heels. Practical ballet flats are also in fashion, but with long noses. Sneakers will also surprise fashionistas, with the fact that it is not the first season they are not leaving the leading positions, but already with an unusual platform. 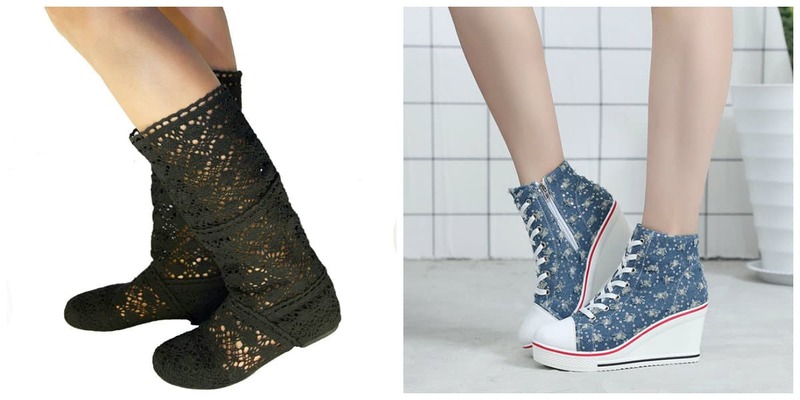 Combine sneakers in various interpretations: with dresses, skirts, pants, jeans. Shoes with various kinds of lacing, covers, and straps, which will allow you to look attractive and stylish, will also be fashionable. Abundance of decor in form of fringe and tassels, nets and perforations, flowers, thorns, sequins, and rhinestones are also in 2019 fashion trends. Everything should be in moderation and tasteful. 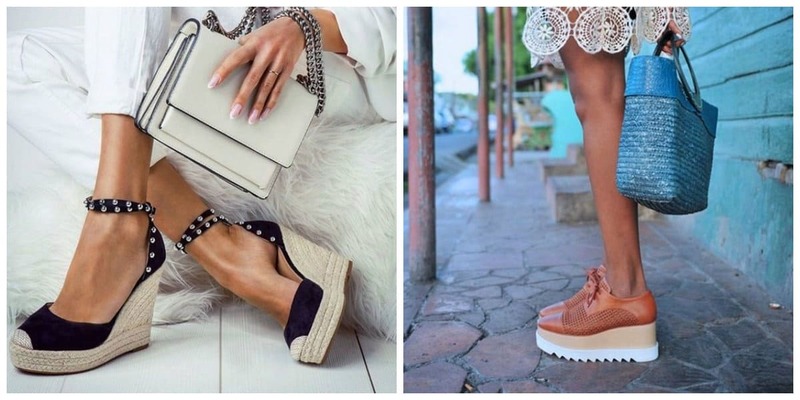 Before you begin to get acquainted with the most fashionable trends in women’s summer shoes, we strongly recommend to find out which shoes are out of fashion and have turned into unattractive trends of this season. Perhaps this shoe styles will have to be forgotten this season as accurately as you would like it. Instead of this women’s shoes, look at trendy variations of shoes shown in this review in photos. As for colors, give preference to shoes in calm color ranges, such as beige and cream tones, gray, pale pink, blue. Also deep green, stylish black and, of course, white color womens summer shoes 2019 will be in fashion. Let’s quickly consider the best options for trendy shoes for women in different styles: from high heels to low or completely flat. Many models of shoes presented by the designers for fashion 2019 summer will allow you to choose beautiful options of shoes for office and business sets. They will also fit city walks and shopping, romantic meetings and evening outings for summer walks. Trendy ladies sandals 2019 will be widely represented by unusual and amazing models of shoes with transparent inserts. By the way, transparency in everything: from dresses, blouses, trench coats, bags and ending with fashionable shoes is trend of 2019, which is actively used by fashion designers. Transparent ankle boots and short boots, transparent boats, and ballet shoes, along with sandals are the trendy models of summer shoes for ladies with transparency elements. You can find inspiration from Chanel, Moschino, and Balmain fashion shows. Transparent plastic on ladies sandals 2019 can be in form of inserts. In case you don’t like this version of summer shoes, then choose shoes the ones with transparent heels. What woman can do without an amazing and such lovely shoes on heels? Choose shoes on heels for summer in form of boats with transparent inserts and clasps. It is necessary to abandon neon shades. Long socks will not be relevant for women’s shoes in 2019. Metallic gloss, shades of red, beige and black are welcome, which will be excellent for evening look. Would you like to add refinement and non-triviality to your summer sets? Then look at trendy types of womens summer sandals 2019 with different ties and clasps. Multiple binders, all sorts of lacing, buckles and bows. 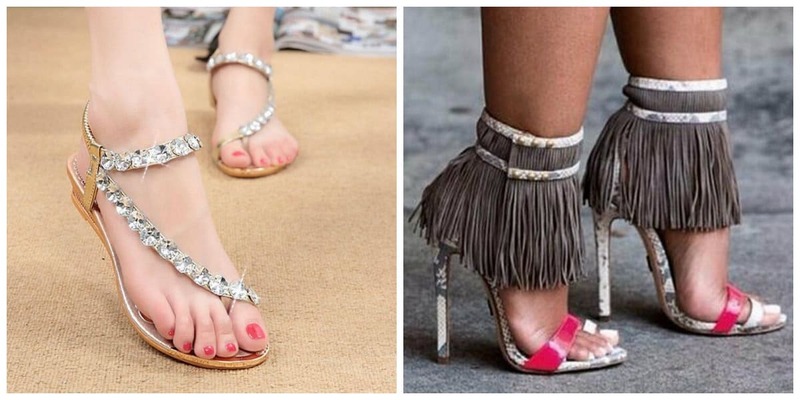 All this must be present on your shoes this summer, if you want to be known as the trendsetter of fashion 2019 summer. Fashionable trend with strings and laces will also be appropriate on shoes with heels. For example, sandals, and summer shoes on platform, wedge or flat sole. 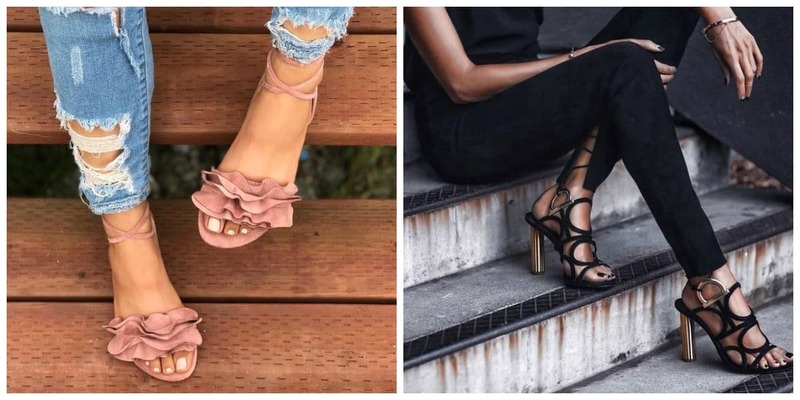 Look for beautiful lace-up womens summer sandals 2019 that look perfect with jeans, or beautiful espadrilles or womens summer sandals 2019 that will suit for dresses or shorts for fashionable summer bows. Platform filled the hearts of fashionistas for a long time and was demonstrated in womens summer sandals 2019 fashion collections with voguish shoes, sneakers, and sandals on platform. Look at the Balenciaga and Miu Miu fashion shows. Comfortable and practical shoes with platform will allow you to move a lot without difficulty. It will perfectly complement the styles with dresses, jeans, and pants, business suits and shorts. Summer shoes on the platform may seem a little rough, but this is only at the first glance. Summer sets with sundresses, dresses, jeans, and shorts are unthinkable without fashionable shoes on wedges. Get inspired by Loewe and Givenchy fashion shows. Fashionable wedge sandals and wedge espadrilles will be the best complement to trendy summer sets. Beige, gray, pale pink and black shades will be at the peak of popularity in 2019. 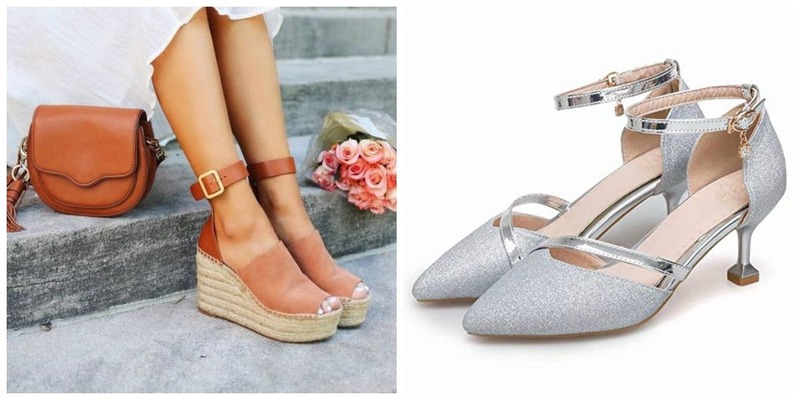 You are a fan of feminine and elegant bows, then choose beautiful womens summer sandals 2019 and shoes with steady heels that looks amazing! Womens summer sandals 2019 with steady heels are more comfortable and practical than other regular shoes with heels. At the same time, they give a style of femininity and sophistication. 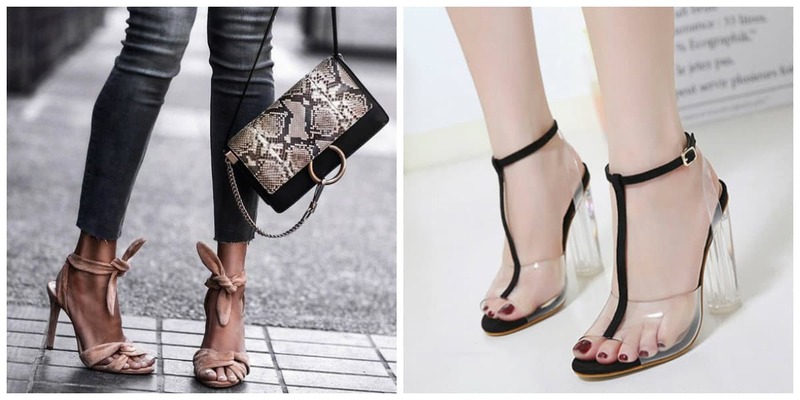 Variations of shoes for summer with steady heels are shown by models of shoes and sandals, complemented by transparent plastic or transparent options of heels. 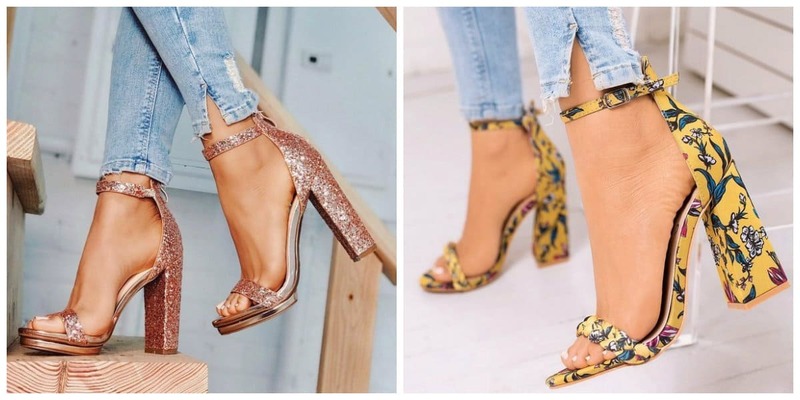 Ties and bindings, glitter of metal and sequins will make the shoes more interesting and spectacular for fashion 2019 summer. For more bold ideas look through Alexander Wang, Paco Robanne and Carven fashion shows. Thus we hope our ultimate guide for women summer shoes 2019 helped to orient in the choice!